Seats with super thick and high density foam wrapped with fibre to give it round shape and extra comfort. Back cushions are silicone fibre filled. Those are king size sofas and corner. Vintage in crawley style. 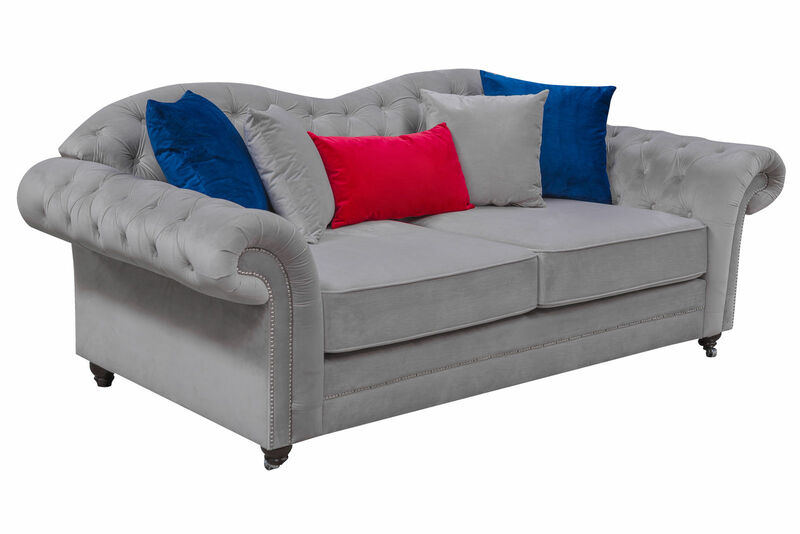 We guarantee all our sofas for 12 months (please keep the original proof of purchase). All foam, fillings & composites have been tested to ensure compliance with the relevant ignitable test. All covers & fillings have been tested to ensure that they are cigarette resistant. All covers have been tested to ensure that they are match resistant. Stool also available, please enquire.